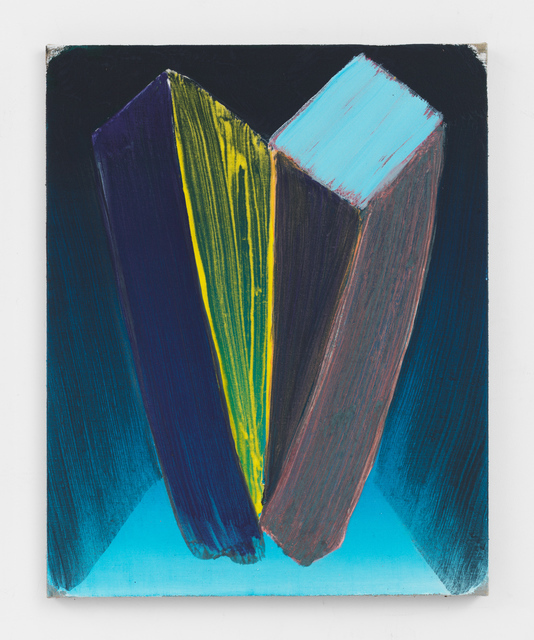 Anton Kern Gallery and CANADA are pleased to present their first solo exhibitions with Robert Janitz. Uptown Campus will open at Anton Kern Gallery, on Thursday, December 13th; and College Robert Janitz at CANADA opens Friday, December 14th. Robert Janitz’ seemingly simple shapes belie a meticulously built contemplation on painting. He generally begins with grounds of gradient color on stretched linen, which are then covered in strokes of semi-transparent paint whipped with flour. The contrasting opacities and transparencies of his marks create fissures of light. Sometimes the paintings feature torqued rectilinear boxes, or they are composed of fields of brushstrokes alone. While it seems possible that the paintings allude to expressionism, the paintings are in fact carefully delineated sets of “procedures” that provoke awareness rather than sensation. Janitz asks fundamental questions, such as what is a brush, paint, or even a surface; and how, via his hand, these tools and materials can generate a mark. 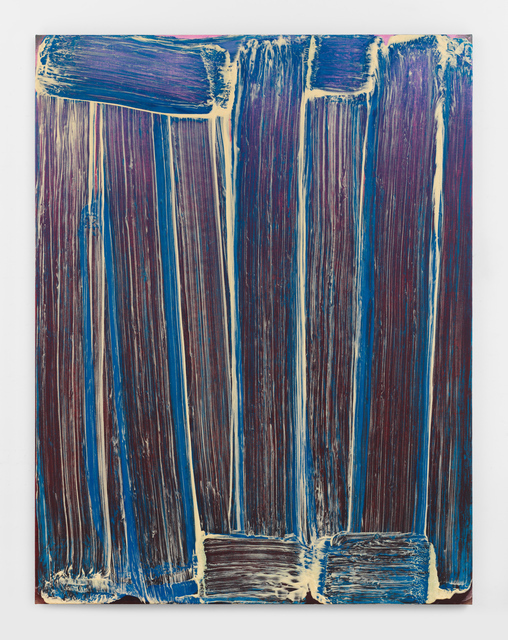 He handles paint bluntly: the broad strokes are direct and unadorned. 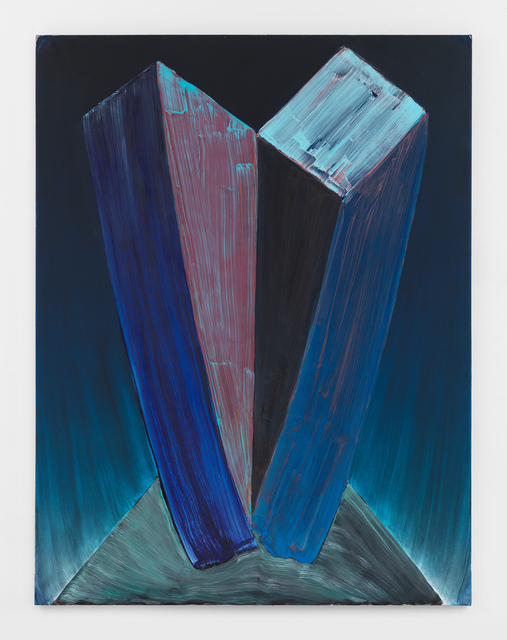 Janitz carefully considers and builds the different pictorial planes of each painting, contemplating the two-dimensional work and its ability to create three-dimensional illusion— how color and shadow operate with and against each other. simultaneously zoomorphic dogs and/or modernist sculpture. Throughout his entire project, simulacra is at play with Janitz. All of his works have a source, either real or imagined, which is the root for the investigative nature of his practice. The way “things” in this body of work resemble things in the world, yet never seem to be direct representations, adds a degree of endlessness to the experience of viewing. The opportunity to spread paintings between two venues offers Janitz the chance to show central tenets of his practice side by side. 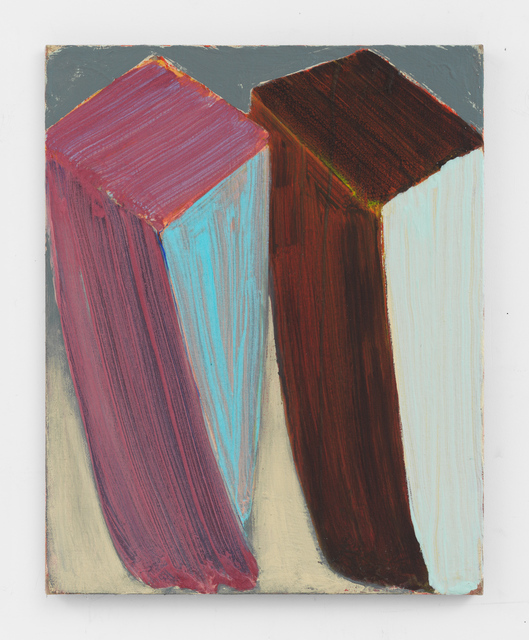 At Anton Kern Gallery, he will mostly exhibit the paintings with twisted boxes; at CANADA, mostly the “field” paintings. They are all paintings that ask themselves questions, with titles that give only sly suggestions, and usually induce further inquiry. The space, light, and elements within each painting sum up to a sort of consciousness, an engagement with layers of color and material that conveys a sense of sublimation and heightened mental space.